Tim, the owner, has over 25yrs. experience in the construction field Our buying power is a 2nd to none in the amount of volume of products we buy in Central KY allowing us to pass on the lower price to our customers In business since February of 1998 No high pressure or sales tactics, such as, 50% off windows or 189.00 installed, both prove to be untrue. T. Smith is VSI certified, LEAD certified, and a James Hardie preferred contractor A rated with Angie’s List A+ BBB rating. While other companies may have an A+ rating, we have had 0 complaints in over 10yrs. 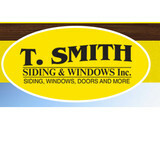 T. Smith was awarded 550 remodeling contractors for 2010-11 by Remodeling Magazine. Also, Lexington Premiere Siding and window installer for 2011-12. 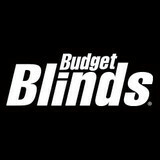 Since its founding, we at Budget Blinds of Union, KY have proudly served the local community by offering high quality and stylish window coverings for any occasion. Our goal is simple: to provide you with the best products and services in order to enrich your home environment. Our lavish selection of window treatments includes shutters, blinds, draperies, shades and even window film. Regardless of the window’s size or shape, you can rest assured Budget Blinds Serving Northern Kentucky will have a customized window coverings solution ready for you. 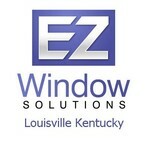 EZ Window Solutions is the area's #1 source for replacement windows. We're the only window and door company that doesn't require a down payment. Our customers pay only after their windows are installed and they're 100% satisfied. We provide accurate quotes over the phone and never send a salesperson to your home. Our customers rave about our no pressure, transparent process. This is why EZ Window Solutions is one of the fastest growing window replacement companies in the area. We apply 3M Sun Control, Decorative, Safety & Security, Window Insulating and Fade Control Films on existing glass in fine homes and offices. These products improve comfort while controlling heat, glare, fade damage and making glass more shatter resistant. Window tinting films are available in clear, shaded, or reflective versions engineered to suit your preferences. We offer no cost onsite consultations and estimates. 3M Window Films are backed by a comprehensive lifetime residential warranty which includes a window warranty. 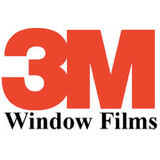 Always insist upon optically clear and technically superior window film products from 3M - a brand you know and trust. 3M Window Films - Clearly Superior. "Simply the Best for Less!" Headquartered in Louisville, KY, Window World of Louisville is one of over 200 locations of Window World, Inc. We are America's largest Window Replacement Company. We offer a variety of window styles, doors, and siding. Our energy efficient windows are custom made for your home. We also offer financing and a lifetime limited warranty! Does your home need a fresh new look? WindowPro of Lexington KY is here to transform the look of your house into the home of your dreams. We offer a variety of services including, vinyl replacement windows, vinyl siding, seamless gutters and gutter guard protection. We even offer exterior house washing, roof cleaning and all pressure washing services. WindowPro of Lexington KY is the only company in central KY to offer all these services together. We guarantee that no matter which service you choose, you can rely on WindowPro of Lexington KY to treat you with the courtesy and respect you deserve and improve the value and quality of your home. At WindowPro of Lexington KY its our goal to offer the best quality home improvement at low prices you can afford. Contact WindowPro of Lexington KY for more information and lets begin your home improvement process together. Top Quality Home Improvement Products When it's time for you to replace the windows and doors in your home, EcoView can install the beautiful, durable, energy efficient products you desire. Our professionals use the most advanced technology when building our windows, doors and siding. Our locally owned and operated window installation company offers the professional quality and expertise you expect and deserve when looking for replacement windows. Our professional window installers offer expertise in window replacements, storm doors, exterior doors and shutters. The Windows Plus team takes great pride in offering quality brands like Pella, Provia and Soft-Lite, with window and door options to fit your budget and needs. Schedule an appointment with our experienced team of window and door professionals or request a quote today! Weber Windows is a husband and wife owned and operated business—right here in Louisville, Kentucky. It's our name on the door, and we take a lot of pride in that fact. The Weber family has been installing, repairing and replacing windows and doors for over 40 years and during that time Jeff and Carole learned one inescapable fact – they work best as a team. Jeff knows what works technically, and Carole knows what works aesthetically. Together, with you, they design a window and door plan that is going to work for you, your home… and your budget. They will design a window or door that is not only going to be extraordinarily energy efficient—and last a lifetime—but is also going to be absolutely beautiful. Then, once your selections have been made and custom built to exacting specifications, you can trust the Weber Team to install them to perfection. Please keep in mind, even the best products in the world will fail if they are not installed correctly. That is why all of our installers are direct employees of the company… not sub-contractors or inexperienced day laborers. In short, at Weber Windows, there is no missed communication, no finger pointing, no blame game and no run-arounds… what you get is a team dedicated to your total and complete satisfaction. So if you're ready to work with a team that truly has your best interests at heart, that will custom design and custom build your windows and doors, and install them as close to perfection as humanly possible...CALL US. We'd love to add you to our list of thousands of satisfied customers. At Exterior Excellence we provide energy efficient exterior solutions for home owners. Our top professionals will install them for you, at an affordable price! Call us today. America’s Window offers replacement windows, baths, vinyl siding, sunrooms, gutters, and eShield Insulation at great prices! We are a well established company and a member of the Better Business Bureau offering the best warranties in the industry. We currently install for over 50 households per week, and to date we have over 23,000 satisfied customers and counting! In addition to a strong record of customer satisfaction, we have been named in the Top 500 through Qualified Remodeling Magazine since 2001, meaning we are nationally recognized for quality service and products. 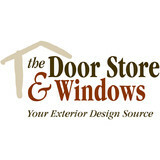 Door Store and Windows Louisville, a locally-owned and operated business, promises an OUTSTANDING CUSTOMER EXPERIENCE for homeowners that want replacement windows and replacement doors in the Louisville KY metro area, and for Builders, Remodelers, Contractors, and Architects to build or enhance any size project. Led by our flagship brand, Marvin Windows and Doors, including the specialized Builder Window and Doors from Marvin named Integrity, we offer high value window and door products that will not only enhance the beauty of your home, but will also improve the economy of your home through energy savings, lower maintenance, and improved resale value for years to come. Our trained specialized Window & Door team of professionals, including our own employee-installers and service team, are dedicated to making the entire process an outstanding experience for you. Whether you’re building a new Crestwood home, remodeling an old one or just replacing a few windows that are past their prime, your window dealer in Crestwood, KY will help you pick the right windows for your needs, home style and budget. Windows come in so many sizes and types that expert advice and direction is invaluable in helping you make the best decision. These pros can also help you with custom window designs that complement your space better than something ready-made. Lastly, if you are interested in doors with windows, these experts are also knowledgeable about sliding doors, French doors and other paned portals. Your window pro might work closely with other Kentucky builders and remodelers as well. Here are some related professionals and vendors to complement the work of window sales & installation: Window Treatments, General Contractors, Home Builders, Specialty Contractors, Siding & Exteriors. Find a window dealer on Houzz. Narrow your search in the Professionals section of the website to Crestwood, KY window dealers. You can also look through Crestwood, KY photos to find examples of windows that you like, then contact the window professional who worked on them.